Running Press Kids, 9780762430604, 136pp. You and Me, which inspired a CD recording (to which she contributed her vocal talents) and a stage show. More recently, she published Thanks & Giving Book and CD, The Right Words at the Right Time, and The Right Words at the Right Time Volume 2: Your Turn! She and her husband, talk-show host Phil Donahue, reside in New York City. Please visit her at www.marlo-thomas.com. 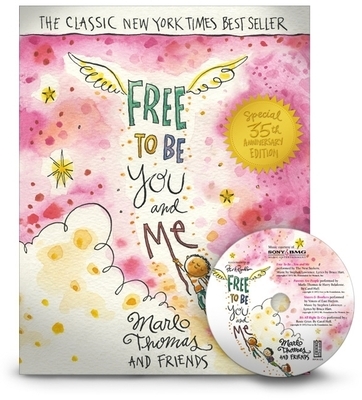 "Free to be…you and me. Each and every one of us has our own special song to sing. As a musician, I get to hear this all the time—amazing voices, high and low, sweet and funky, all coming together like some great big choir. This book is just like that. Look at all the wonderful art. Read the funny poems and awesome stories. Each page is ONE IN A MILLION, and they all shout out with the same, unstoppable message: that YOU are the star of your own concert. Just like you—and just like this book—I know I’ll continue to grow and change over the years into new versions of me. We’re all free to be…you and me. And that’s THE BEST OF BOTH WORLDS."